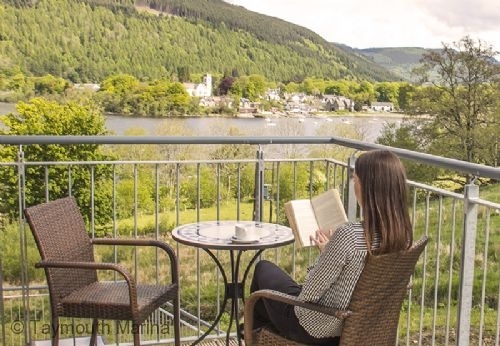 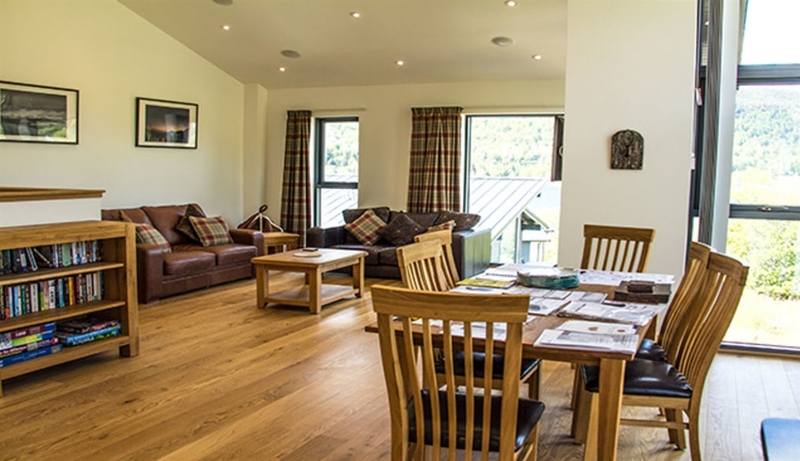 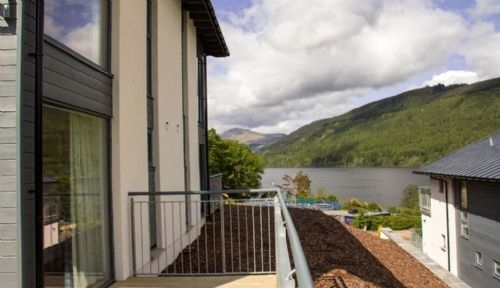 Alafia provides luxury "upside down" Holiday accommodation making the most of the fabulous views over Loch Tay. 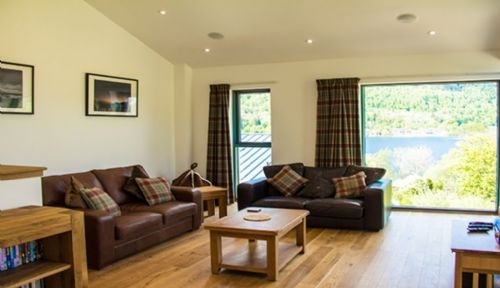 Set in a wonderful scenic spot with spacious layout of accommodation ideal for groups and family's of up to 6, with contemporary open plan lounge, dining and kitchen area. 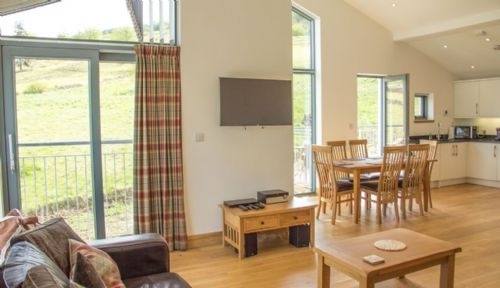 Larger groups can be accommodated with other holiday houses adjoining making this perfect for bigger groups using two or more houses together. 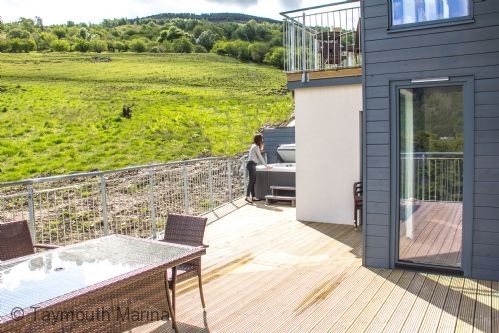 The house makes for memorable holidays and short break allowing quality time with friends and family; imagine retreating to this gorgeous, modern apartment with sweeping views of the loch and your own private hot tub after strenuous water sports activities on the loch or days out in the local area enjoying all that the Highlands have to offer. 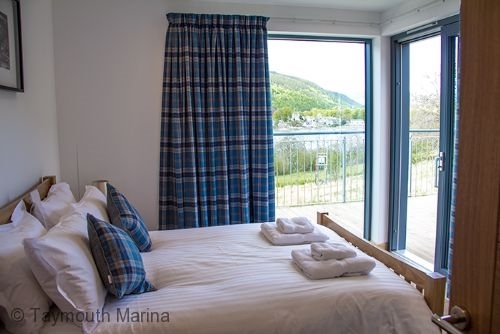 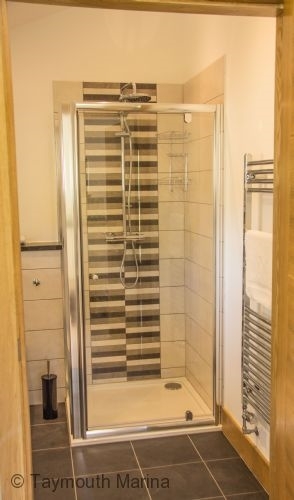 Services: Central heating & electricity included * Bed Linen and towels * Dishwasher* Washing machine * Tumble Drier * Fridge/Freezer * Wifi*TV*DVD* Balcony with Hot Tub* Parking * Bicycle storage * 2 Pets welcome.